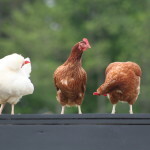 Almost all visitors to the farm want to see the chickens! 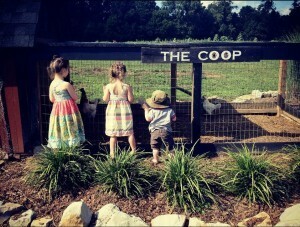 In fact, ”The Coop” as we call it – is usually the first place visitors to the farm go to see. 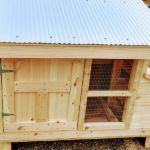 Our coop has been home since early 2011 to our little flock (we started with nine). 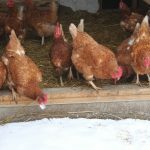 With a few minutes of care each day – they have provided us with a little over 4 dozen eggs each week – and maybe even more importantly – an incredible supply of organic matter for our compost bins. 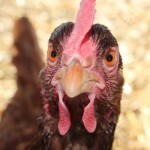 It’s amazing how each of our chickens has developed their own personality. 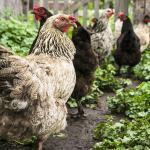 Click below on the links to read any of the posts on our ladies. 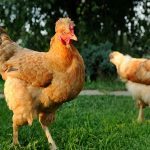 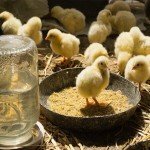 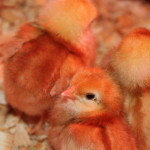 Why Raising Backyard Chickens Will Give You The Best Garden Ever!